A charming mix of mediums, the Bergamo stool features a beautiful distressed medium brown cherry finish, curved back with intricate metal scroll detail in silver finish and dark brown vinyl upholstery. 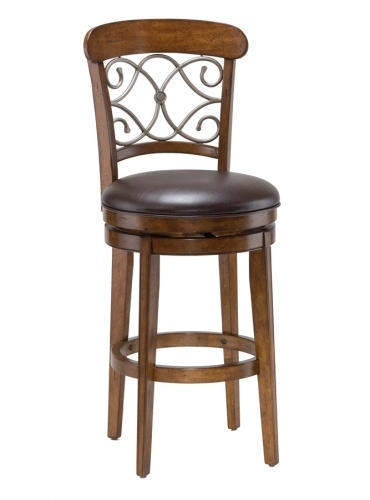 This stool is available in counter and bar heights. Both sizes feature a 360 degree swivel seat.